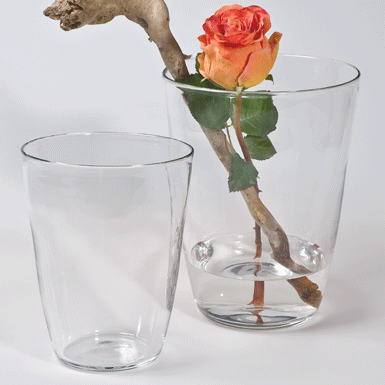 Lipari, the two vases stand out for the clear, simple form. The rim is stretched freely, which gives the vase that special something. Free blown into the mould and stretched with smooth rims.